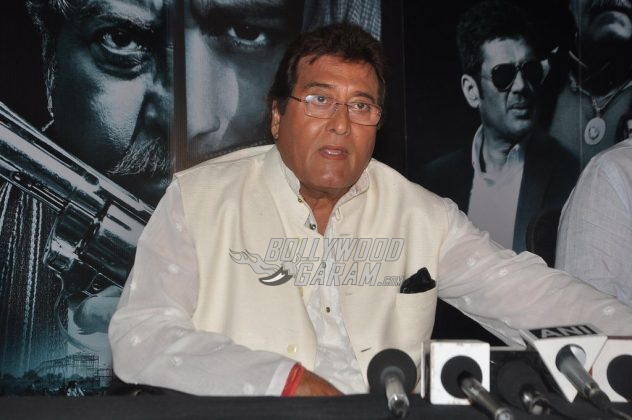 Veteran Bollywood actor Vinod Khanna has not been in the pink of health for the last few days. As Bollywood Garam reported, he was admitted to a local hospital in Mumbai on March 31. The ailing seemed to be recovering from what was initially said to be severe dehydration. His son, actor Akshay Khanna told the media that his father was fine and that it was a minor health scare. However, a photograph of the legend made its way to the internet and has fans seriously concerned for him. We once knew Vinod Khanna to be a dashing actor with a great physique, he is now completely unrecognizable. The photograph shows him frail and skeletal. His deteriorating state of health, coupled with his fragile physical state is concerning for those who grew up during the golden era in Bollywood. Vinod Khanna was one of the most handsome actors of the generation. Wishing Vinod Khanna a speedy recovery! Previous articleVarun Dhawan quits Twitter, promises to return soon!